Casino games are one of the highest contributors to gambling revenue in the United States creating over $6 billion in revenue each year. Each casino game has different odds and probabilities, therefore in order to win a substantial return, it is better to know which casino games offer the best odds for players and which ones offer the worst. Experience real-money casino games and probabilities by making an account (only from NJ). Every casino needs to make a profit and this is where the house edge and payout percentage come in. The house edge is the name given to the casinos' profit expressed as a percentage of the players' original bet. By knowing the house edge of certain games players can determine if odds are good or not. For example, maybe some casino only pays out 95 cents for every dollar so therefore the house edge is 2.5%. You don't need to know every detail, but it is important to know that the normal house edge is 2-3 %. If you want to win a substantial payout in casinos today it is important to know which games offer you the best chance. Most people do not know that the games with the best odds are all forms of table games. Sometimes people may feel intimated by the thoughts of the dealer taking their money so they would prefer to use it on other games like slots or machines. However, in fact, there is a higher chance of winning a high payout from the table games listed below. Blackjack has the best odds of winning in every casino. Normally the house edge for Blackjack is just 1% or as low as 0.13% for most online operators which accounts for why the odds are so good. Furthermore, in Blackjack, you are playing against a dealer, not poker professionals which makes it easier to win. Blackjack is also one of the best casino games for a high payout. READ ALSO: Card Counting – Does it work? Is it legal? The dice game Craps may seem like a complex casino game for beginners due to the many different kinds of bets you can place but it is quite easy to master. The average house edge is approximately 1.2% but some casinos offer 0.60%. There is one fundamental bet in Craps the “pass line” bet which almost guarantees all players make and earn a small return, even beginner players. As you get more experienced, you can add more bets to your repertoire and begin to earn a higher payout. The idea behind Roulette is that each player bets on their favorite numbers, the dealer then spins the wheel and if your number is picked you win. The majority of casinos have set the house edge for Roulette at 2.7% for single zero and 5.26% for double zero. 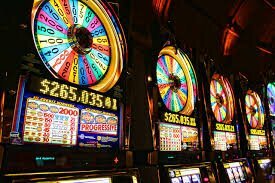 It is harder to know the casino games with the worst odds as many casinos do not want to disclose this information for obvious reasons. The concept is very simple, a big wheel with 54 different segments and whichever segment the Wheel stops at is your prize. With a simple concept usually comes extremely bad odds. The odds are at 54:1 however because each segment is different means that it is more difficult to reach a high payout. Furthermore, the house edge starts at 11.2% and goes to 24.07%. The loudest and most colorful attraction in any casino, Slots machines are supposed to attract first-time gamblers. The odds of winning a considerable amount can be extremely high, yet near impossible to get. For example, a jackpot amount for 2400 coins might have a 1 in 262,144 odds of winning whereas a jackpot of anything for $8 to $33 million has odds of 1 in 49,836,032. You can read a detailed breakdown of how video slots work. Therefore, it is more profitable for players both online and offline to play table games especially the three with the best odds listed above for a high payout and the best chances.